Currently the Bridge Community Church is running 2 Sunday School classes. They are ages 3-4, the TOTS program and ages 5-9, the KIDS program. These classes have been divided into age groups based on how many kids are currently attending our church. On a regular basis there are around 10 children in each class. 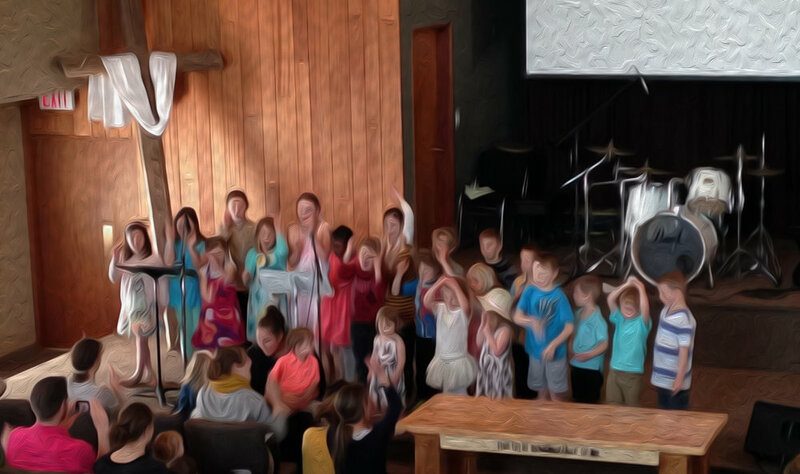 We follow programs from the Faith Alive curriculum, as to offer Biblically based lessons that teach the children stories that parallel the Christian calendar. During their time in Sunday school the children listen to music, sing songs, read Bible stories (sometimes act them out!) and do crafts that relate to the story of the week. Every Christmas the Sunday school students take part in re-enacting the Christmas story through drama and song. They are also included in the church service throughout the year, as they often sing songs in front of the church or with the support of the congregation as a form of a children’s message before they head off to Sunday School.